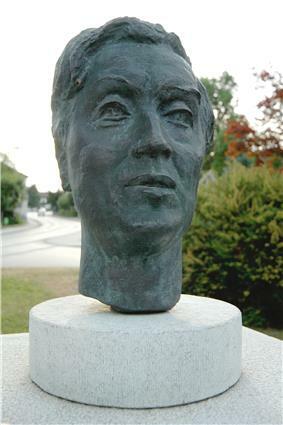 Alban Maria Johannes Berg (; German: ; February 9, 1885 – December 24, 1935) was an Austrian composer. He was a member of the Second Viennese School with Arnold Schoenberg and Anton Webern, and produced compositions that combined Mahlerian Romanticism with a personal adaptation of Schoenberg's twelve-tone technique. Berg had little formal music education before he became a student of Arnold Schoenberg in October 1904. With Schoenberg he studied counterpoint, music theory, and harmony. By 1906, he was studying music full-time; by 1907, he began composition lessons. His student compositions included five drafts for piano sonatas. He also wrote songs, including his Seven Early Songs (Sieben Frühe Lieder), three of which were Berg's first publicly performed work in a concert that featured the music of Schoenberg's pupils in Vienna that year. The early sonata sketches eventually culminated in Berg's Piano Sonata, Op. 1 (1907–1908); it is one of the most formidable "first" works ever written. Berg studied with Schoenberg for six years until 1911. Berg admired him as a composer and mentor, and they remained close lifelong friends. 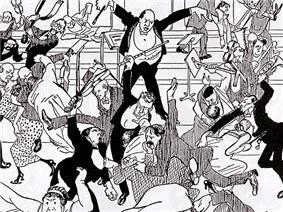 In 1913, two of Berg's Five Songs on Picture Postcard Texts by Peter Altenberg (1912) were premièred in Vienna, conducted by Schoenberg in the infamous Skandalkonzert. Settings of aphoristic poetic utterances, the songs are accompanied by a very large orchestra. The performance caused a riot, and had to be halted. This was a crippling blow to Berg's self-confidence: he effectively withdrew the work, which is surely one of the most innovative and assured first orchestral compositions in the literature, and it was not performed in full until 1952. The full score remained unpublished until 1966. Three excerpts from Wozzeck were performed in 1924, and this brought Berg his first public success. The opera, which Berg completed in 1922, was first performed on December 14, 1925, when Erich Kleiber directed the first performance in Berlin. Today Wozzeck is seen as one of the century's most important works. Berg completed the orchestration of only the first two acts of his later three-act opera Lulu, before he died. The first two acts were successfully premièred in Zürich in 1937, but for personal reasons Helene Berg subsequently imposed a ban on any attempt to "complete" the final act, which Berg had in fact completed in particell (short score) format. An orchestration was therefore commissioned in secret from Friedrich Cerha and premièred in Paris (under Pierre Boulez) only in 1979, soon after Helene Berg's own death. The complete opera has rapidly entered the repertoire as one of the landmarks of contemporary music and, like Wozzeck, remains a consistent audience draw. Berg had interrupted the orchestration of Lulu because of an unexpected (and financially much-needed) commission from the Russian-American violinist Louis Krasner for a Violin Concerto (1935). This profoundly elegiac work, composed at unaccustomed speed and posthumously premièred, has become Berg's best-known and beloved composition. Like much of his mature work, it employs an idiosyncratic adaptation of Schoenberg's twelve-tone technique that enables the composer to produce passages openly evoking tonality, including quotations from historical tonal music, such as a Bach chorale and a Carinthian folk song. The Violin Concerto was dedicated "to the memory of an Angel", Manon Gropius, the deceased daughter of architect Walter Gropius and Alma Mahler. Berg is remembered as one of the most important composers of the 20th century and to date is the most widely performed opera composer among the Perle remarked, to look like its most forward-looking composer." ^ "Berg, Alban". Random House Webster's Unabridged Dictionary. ^ Georg Markus, Der Kaiser Franz Joseph I.: Bilder und Dokumente; Anna Nahowski and Friedrich Saathen, Anna Nahowski und Kaiser Franz Joseph : Aufzeichnungen / erstmalig herausgegeben und kommentiert von Friedrich Saathen, Böhlau, 1986.